Its a Wonderful Movie - Your Guide to Family and Christmas Movies on TV: "I Love Lucy" Christmas Episode in Color for the first time on PrimeTime TV! 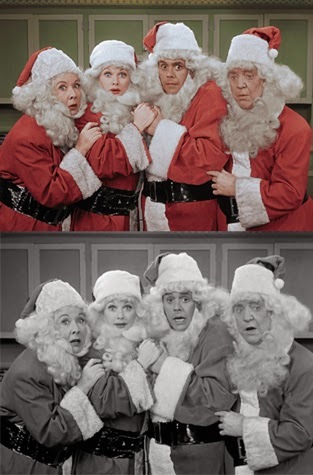 "I Love Lucy" Christmas Episode in Color for the first time on PrimeTime TV! featuring the infamously thought to be lost "Christmas Episode"
most commonly known as the "Grape Stomping" episode. The episodes have been colorized with a vintage 50's look - so it still will have that retro feel. When is this going to be on? What day, I don't see it on TV for tonight? Caryl, it will be on TV, December 20th, on your local CBS station.